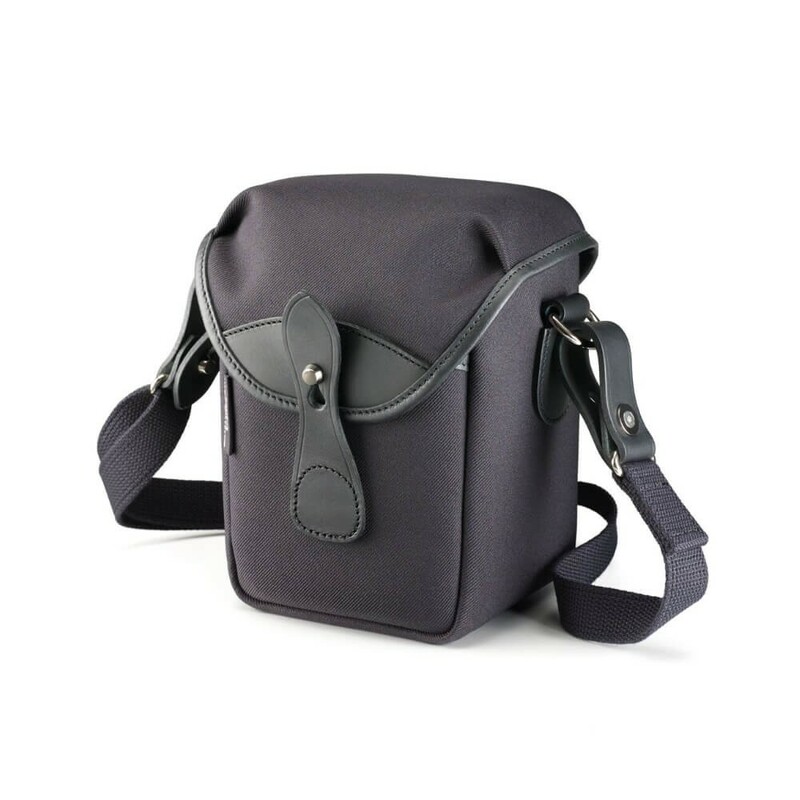 The '72' is Billingham's purpose built shoulder bag for those who want to carry just one small camera with a high degree of protection. 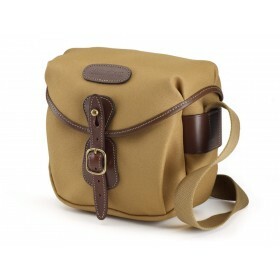 Ideal for the compact system (mirrorless) or 35mm SLR film camera user. 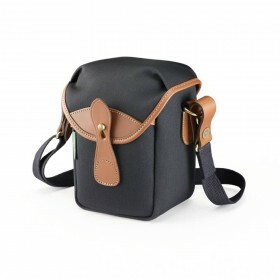 Within the interior of this compact bag, the padding that makes up the front, rear and side walls of its body is constructed from two overlapping layers of closed cell foam cut in different patterns – keeping all edges and corners fully protected. Further padding has been sewn into the bottom of the bag, and we have also included a removable padded base. Beneath the outer lid is a top flap, once again made of foam, protecting the camera on all six sides in the event of a knock or fall. With an outer body constructed of either Billingham 3 layer canvas or FibreNyte, the Billingham 72 offers the ultimate in water resistance and provides full defense against inclement weather conditions. Both materials are hard-wearing yet lightweight and never require reproofing, remaining moisture- and heat-resistant for their entire life. FibreNyte is an extra-rugged material that is more colour-fast and delivers even better protection against wear and tear. The shoulder sling is extra strong and made of shuttle-woven spun polyester. It can be adjusted for length or removed completely – making it ideal to carry as a shoulder bag itself, or as a storage case inside another bag whilst travelling, such as our Weekender bag. 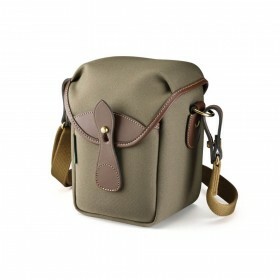 On the rear of the bag we have also included a wide belt loop for those who prefer to keep their camera a little closer. 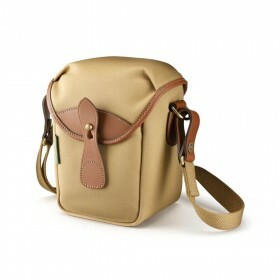 At 150 x 130 x 190mm (WxDxH), the Billingham 72 is the ideal size for premium fixed lens cameras such as the Leica Q, Fujifilm X100 range or Sony DSC-RX1R series, as well as many small mirrorless system cameras with one small standard lens, such as the Fujifilm X-T2, Olympus OMD E-M series, Leica M rangefinders or Canon EOS M kits.The 72 is also the perfect companion for similar sized 35mm SLR's - and even a few 120 medium format TLR film cameras. 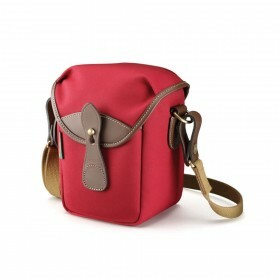 A small pocket on the front also provides storage for a spare battery, lens cap or memory cards.